Studying at a language school in the UK is about more than just improving your reading, writing, speaking and listening skills. It means making new friends, exploring a new country and, most importantly, having fun! Social activities at language schools are designed to make you feel more at home, and also ensure you make the best of your time in the country. Whether excited by the culture of galleries and museums, or more interested in night life and sports, there is something for everybody. Below is just a small example of some of the activities that take place at English language school in the UK and if you want to learn more about studying in the UK, get in touch with SI-English today. Our 100% Free Application Service will guarantee you an offer letter from a school within 24 hours of your application being submitted! English Language Centre Brighton is always busy finding things for students to enjoy, and anything from table tennis tournaments, to spin classes and pub quizzes will keep your mind occupied. Regular trips also take place to London, Oxford and Cambridge! Want to experience real Scotland? At Inlingua Edinburgh you can take part in whiskey tastings and Scottish dance initiations, while more relaxing activities can be found in art gallery visits and film nights. LSI Cambridge has a range of different activities for students of all ages to enjoy. Want to improve your English and learn about your host city? Explore rich history, culture and architecture with guided tours around Cambridge, alongside 20 hours of English tuition per week. You can also combine your English classes with golf and improve your game after class! You won’t be bored in the capital city with Stafford House London who provide trips to China Town, musicals and the British library, as well as host football training sessions and the popular conversation club! As an EC Oxford student, you will be invited to a free welcome event and enjoy a varied calendar of social and leisure activities throughout your stay. Some of the many activities available include movie afternoon and game afternoons, walking toursand the famous EC parties! 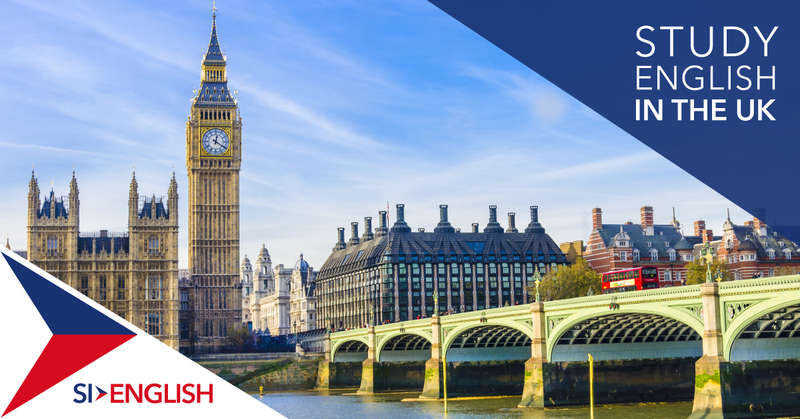 If you are interested in studying English in the UK, apply with SI-English today. We will take care of your application from start to finished with our 100% Free Application Service.